Kamehameha Schools must play a significant role in this thriving lāhui, particularly in improving educational outcomes that lead to postsecondary educational attainment. Through our schools, we will provide high-impact, high-quality, well-rounded educational experiences comparable with the best the world has to offer. 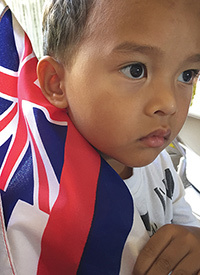 We will continue to serve and respond to a diversity of needs, as schools of choice for Native Hawaiian families. Our involvement in the community will be characterized by proactive engagement for improved outcomes for Native Hawaiians. 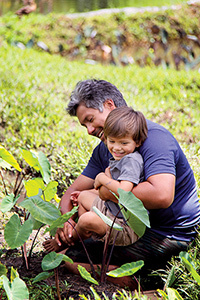 We will listen to and collaborate with community members and organizations that share our vision to strengthen Native Hawaiian leadership, influence, and economic, physical and emotional well-being. We are committed to helping our learners succeed along their education pathway, and we will focus primarily on partners, programs, and collective impact approaches that serve our learners in areas of greatest socioeconomic need. Achieving this vision will require ongoing measurement of our performance. Our primary success indicators will be key educational milestones and targets based on student achievement data. Such milestones and targets will be set to ensure that our learners are equipped with the essential tools to succeed in college, career, and leadership pursuits in an increasingly competitive world. Kamehameha Schools will build on its strengths and will operate as a high-performing, mission-driven organization with strong and effective leadership. Our operations will be characterized by a laser focus on outcomes, measurements, and accountability, with risk management practices efficiently embedded in our planning and decision-making processes. Discipline in human resource and asset management—combined with constant program monitoring and evaluation—will ensure that we prudently optimize the strength, breadth, and strategic alignment of resources for maximum impact on our educational mission. Land assets will be optimized for educational, economic, community, cultural, and environmental returns. Strategic collaborations and community relations will allow us to maximize and leverage our educational, financial, cultural, and human resources. With these measures in place, we envision the next generation of Native Hawaiians will have significantly higher rates of success in college, career, and leadership.